From Jaipur with Love was born in 2013 following many exciting years travelling in India exploring its rich treasures and experiencing its unique culture. It is a story of love, a passion for creativity and beauty and admiration for the incredible artisans I now work with. My Indian story began over a decade ago when my Scottish born husband introduced me to its wonders. He had spent many happy years working in Delhi, travelling widely throughout the country. On my first visit to India he proposed to me at the romantic Taj Mahal, a magnificent monument dedicated to love. And so began my love affair with India which was the catalyst for future entrepreneurial adventures there. I always had an interest in design and tradition which were probably inspired by my Irish roots and upbringing. Ireland, despite its location at the edge of Europe, its small size and population, has produced more than its share of world renowned writers in the world of English literature such as Oscar Wilde, Samuel Beckett, James Joyce, George Bernard Shaw, W B Yeats and Seamus Heaney. And there is also an extensive body of literature and art in the Gaelic tradition dating back to earliest times. This artistic tradition has also produced globally renowned fashion designers such as Sybil Connolly and Louise Kennedy, milliner Philip Treacy and artisans who have made Carrickmacross lace and Kenmare lace much sought after luxuries. Then there are, in addition, the pottery and ceramics enterprises such as Louis Mulcahy and Nicholas Mosse flourishing throughout the island. Indeed hand crafts of all sorts have been a vibrant part of rural Ireland for centuries, particularly along the wild Atlantic seaboard. It is from this Atlantic seaboard that Aran knitwear and Donegal tweed have emerged. 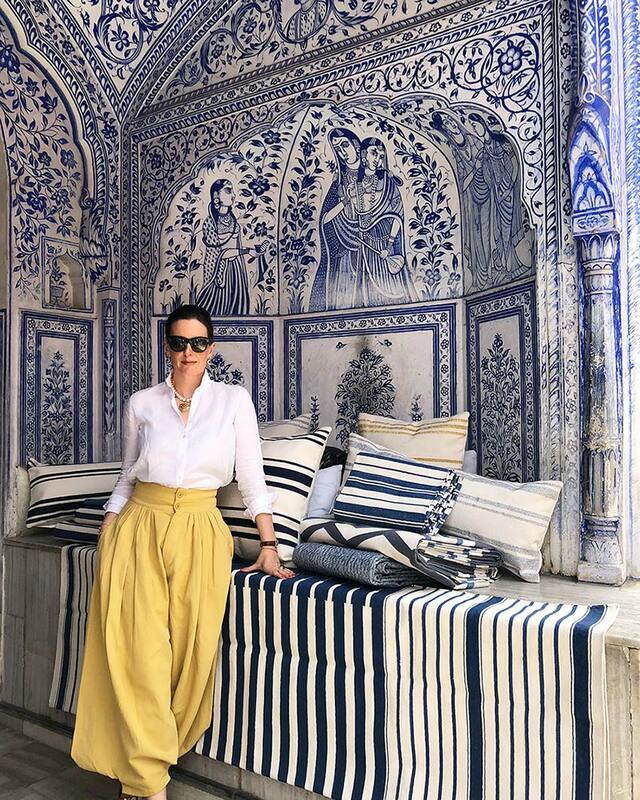 Perhaps it is this background that inspired me to see the potential in the artisans I met over the course of my visits to India. It was my wish to harness the creativity of artisans and keep alive the ancient skills of weaving. I wanted to be part of something that wasn’t machine made or mass produced. I wanted to keep the skillset of these artisans alive by bringing work to the remote villages I visited. In short I wanted to bring the finest hand produced rugs into the homes of many and in that way continue the weaving history that is part of the traditional framework of Rajasthan.